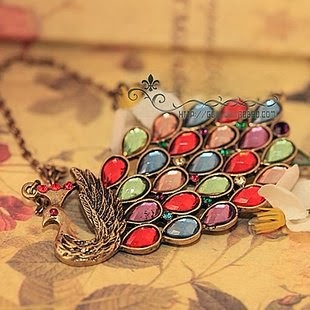 Check out this SUPER FUN Vintage Colorful Stone Peacock Necklace. Right now, you can snag it on Amazon for ONLY $2.38 Shipped. These make GREAT stocking stuffer gifts! I can't tell you how many compliments I get on my necklace like this! For more of the latest deals, and greatest steals, stay tuned to The Coupon Centsation on Facbook.